RESUME REALITY: 3 Reasons to Make it On-line & Visual! They are subjective. It's hard to decide what to put on a resume about yourself. There's no way to know if you are doing it right. Everyone has a different opinion as to what should be included and how it should be formatted. They are text-intensive. (Yawn!) People get bleary-eyed reading them. They need to be updated a lot. With the average tenure at a job just 18 months, a resume needs to be added to regularly. However, most people fail to remember where they kept their resume file and end up starting over each time they need to look for work. They don't really showcase a person properly. A good resume can be made by a bad candidate and a great candidate can have a lousy resume. 1) Consistency. A job seeker can keep track of all their work history in real-time and showcase their accomplishments in one easy-to-access place. 2) Quality. A job seeker who is not 'design savvy' can create a decent online resume by following the steps offered by the technology. No more comparing 'apples to oranges' - a standard format will make it easy for the hiring manager to assess each candidate fairly. 3) Credibility. 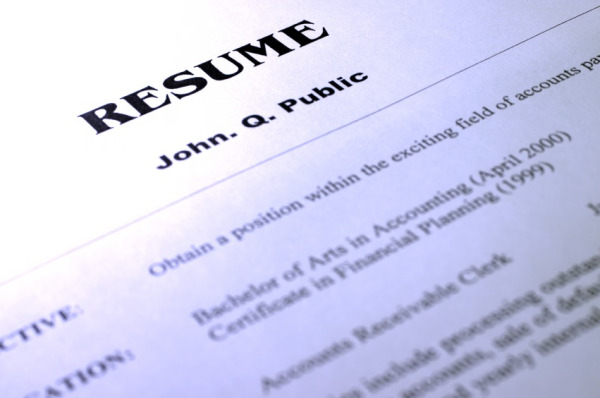 An on-line resume immediately adds to a job seeker's personal brand on-line, making it easier for employers to find and verify their candidacy on the Internet (something 4 out of 5 hiring managers check up on). NOTE: This doesn't mean I'm suddenly a fan of people creating YouTube video clips of themselves and pasting their photos all over their resume. This is not Facebook. But, I do think adding graphics and presentations you've developed are great examples of visuals that can be included in an on-line resume format that will make a strong impression - much more so than a regular paper resume could ever convey. My suggestion to job seekers in terms of adding visual elements to their on-line resumes is to simply remember the famous phrase by Doris Day, "People HEAR what they SEE." Hiring managers are the same, so think twice about what you put up on the internet!